One of the earliest associations between Swiss people and the New Zealand mountains was when Jakob Lauper accompanied John Henry Whitcombe on the first crossing of the Whitcombe Pass. 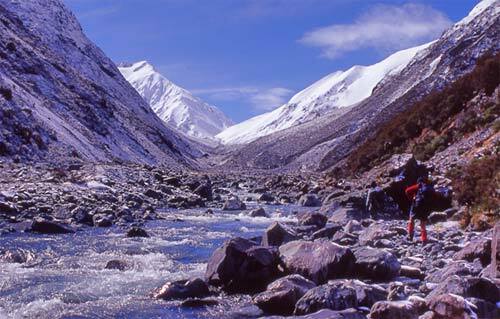 On their 1863 journey, the pair ascended a stream from the Rakaia River to the summit of the pass. The stream bears Lauper’s name, which until 2002 was misspelt as ‘Louper’.